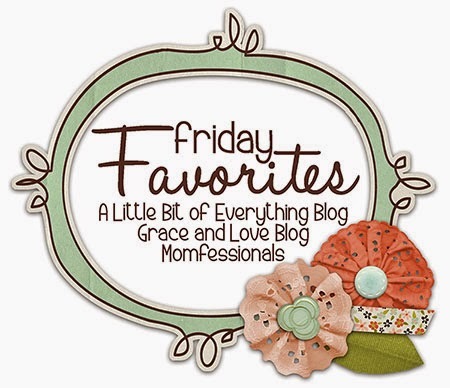 Linking up with Andrea and Erika for Friday Favourites again! 1. Downton Abbey Text Santa spoofs. I love spoofs of shows I enjoy, but this one is even better because the real actors are the ones doing the spoofing. I saw this on someone's Friday Favourite post from last week and it made my day! 2. Obama singing Uptown Funk. I have to admit this song is growing on me, and I love when these little clips are put together to make these videos, pure brilliance. 3. Dancing with the Stars (DWTS) Call Me Maybe Group Dance. This was one of the best seasons on DWTS, the All-Star season. Don't hate me, but I love the song Call me Maybe (I've always enjoyed the current pop hits). The video is a little hazy but this is one I actually still watch every few months, it makes me so happy! 4. Somewhere Over the Rainbow from The Wizard of Oz. E calls this the "one with the tractor" because Toto sits on a tractor for part of the song. I try singing this to him at night but I can never remember the order of the verses. 5. My Favourite Things from The Sound of Music (this time it's the second search result). I sing this song to E almost every night I put him to bed. He likes this version too. He calls this song "raindrops". 6. Somewhere Over the Rainbow by Israel Kamakawiwoʻole. This is not the one that is combined with What a Wonderful World. The video is actually clips of Israel before he died and then the ceremony where they put his ashes into the ocean. E calls it the "one with the boats". I find this video kind of emotional because of the joy that people are showing at the ashes ceremony. Hope some of these brightened your day! Happy Friday! I do love iz's version of Somewhere over the Rainbow but had never seen a video. Thanks for sharing! Those Downton Abbey text Santa ones are great! I laughed. And no one sings like Judy Garland...loved seeing her sing Somewhere Over The Rainbow again. The Obama one is very cool. That song must be a good one to parody. Have you seen the Mardi Gras Funk! version?